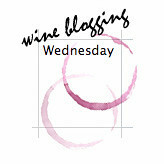 This month’s Wine Blogging Wednesday is hosted by the folks at The Wine Cask Blog. Our assignment this month was to select two wines; one a standard release and the other a reserve release of the same wine. We were to compare the wines to decide if the reserve was worthy of it’s name and the additional cost that is normally associated with a reserve. At first I thought about comparing local Washington wines but then decided this was a good time to revisit two wines that I buy on a fairly regular basis and really test my love of the reserve. My choice was Shingleback Shiraz. Shingleback has a whole line up of wines but their Shiraz was the first I tried and still remains my favorite. I messed up on this one though, as I thought I had two bottles from the same vintage only to find that they were actually a year apart. Oops. Well, the time was short and so I decided to go ahead and complete the challenge with what I had. These wines are produced in South Australia in McLaren Vale, a region long known for it’s wines and boasting over 60 wineries. The region is bounded on one side by the Gulf St. Vincent which helps moderate the climate. 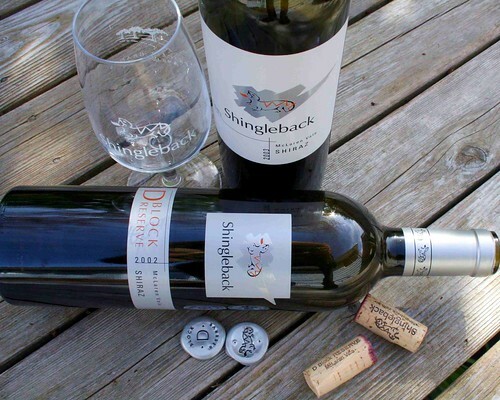 Shingleback’s first release was their 1998 vintage. Since that time they’ve won several medals for their wine. The two wines I tasted were the Shingleback 2003 Shiraz (pdf) and the Shingleback 2002 D-Block Reserve Shiraz (pdf). Both wines come from the same vineyard but the grapes for the reserve come from a specific area of the vineyard (D-Block) which John Davey, the grower and winemaker, feels is located in an area that comprises the perfect growing conditions. Both wines are 100% Shiraz. I opened both bottles and poured a glass of each. To the eye there is not much difference between the wines. Both are a deep, inky garnet. The D-Block may have been a tad bit darker but not obviously so. The first difference you notice is in the nose. The 2003 Shiraz has a very pleasant aroma of raisin and plum. The 2002 D-Block was also pleasant but more intense. Although there was some raisin there was brighter fruit, predominantly blackberry and some raspberry. I also caught a hint of plum. I started the tasting with the 2003 Shiraz. This wine’s retail price is around $15 – $20. You can often find it at Costco or on sale for around that $15 mark. This wine is very earthy with a taste of plum followed by berry and also a little tobacco. There was a slight acidity, especially just as it left the mouth. I think that will mellow a bit with time as I noticed this acidity decreased after some time exposed to the air. Overall it was a very pleasant wine that would pair with a variety of foods and is nice on its own. At $15 I think this wine is a great value and it presents itself as a more expensive wine. I then moved on to the 2002 D-Block Reserve. This wine retails around $40 – $50. It has developed a real personality! After sipping it I went back to the 2003 and the 2003 seemed almost flat, but that was only because of the comparison. The D-Block taste is primarily of deep berry – maybe red, maybe purple. Yet there is a hint of oak that adds to the structure. This wine seemed more integrated than the first. The flavors and elements have become a more unified whole. The effect was of a big, luscious wine with an explosion of berry flavor. It pleasantly lingers on the palate making friends with all of your tastebuds! I really love this wine. Although this was not a true vintage to vintage comparison I think the results are still representative of what I have tasted before. At $40 the reserve is more then twice the cost of the non-reserve. I’m not sure I could say it was twice as good but I can say it is worth $40. And after this comparison I would continue to buy both, keeping the non-reserve as an excellent everyday wine or something I might take to a party to contribute to the overall pool of wines. It’s a good steady wine and I wouldn’t be embarrassed to serve it to anyone. The reserve will be pulled out for occasions when I want something a bit special or maybe to share with someone who I know will get the nuances of this more complex wine. I think the challenge here is that the non-reserve is a really great value, not that the reserve is not worth the additional cost. Thanks to the folks at the Wine Cask for hosting! They have already started the summary of the wines tasted for this event. Check it out to see what others tasted and their ratings.